Flexibility, core strength and recovery are vital components to any training program. A great way to increase flexibility and speed up post-workout recovery is through target-point therapy or self massage. The GoFit Massage Roller is a great tool to awaken tired muscles, pre-workout and to help knead aching muscles, post-workout. Flexibility, core strength and recovery are vital components to any training program. A great way to increase flexibility and speed up post-workout recovery is through target-point therapy or self massage. 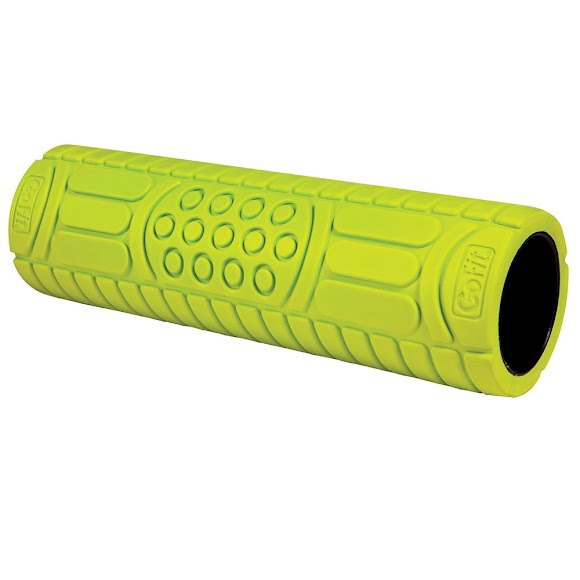 The GoFit Massage Roller is a great tool to awaken tired muscles, pre-workout and to help knead aching muscles, post-workout. Included with the GoFit Massage Roller is our favorite post-workout recovery routine, along with some core and upper body strength moves that you just can&apos;t do with traditional rollers. Rejuvenate and strengthen your body with the GoFit Massage Roller! The GoFit Massage Roller is made of dense, closed-cell foam offering a soft-touch, while its rigid core provides firm, long-lasting support. The varied pattern gives you a deep tissue massage with a comfortable, foam texture. The Massage Roller&apos;s open-ended design allows for a variety of core strength exercises as well as massage applications.